Bold curves provide elegant contrast to the unique look of the Toulon Collection. 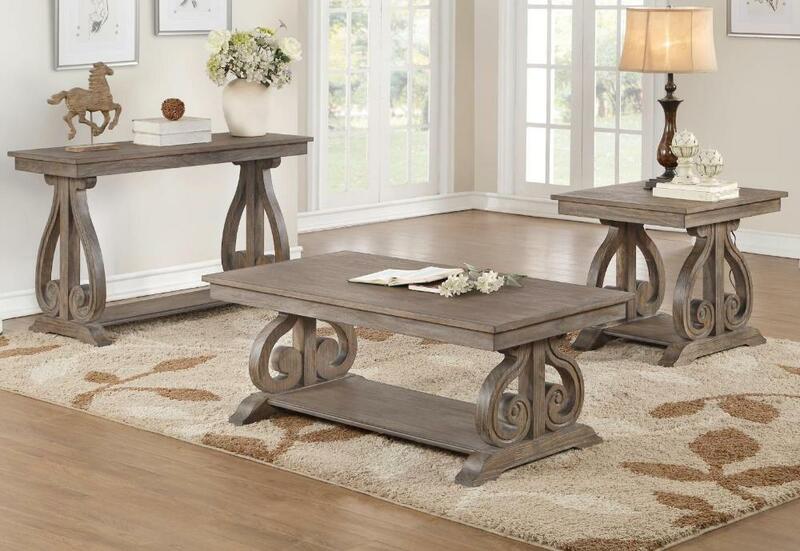 The heavily scroll base support of the tables, feature French provincial inspired routing, while wire-brushed distressing provides texture to the acacia veneer of this elegant occasional collection. FEATURES: Distressed / Antiqued Gray Finish ~ French Provincial Style ~ Bold Curves Accents ~ Open Display Shelves.